First edition. Hinges just beginning to weaken, corners a bit rubbed. 1922 Hard Cover. 348 pp. 8vo. 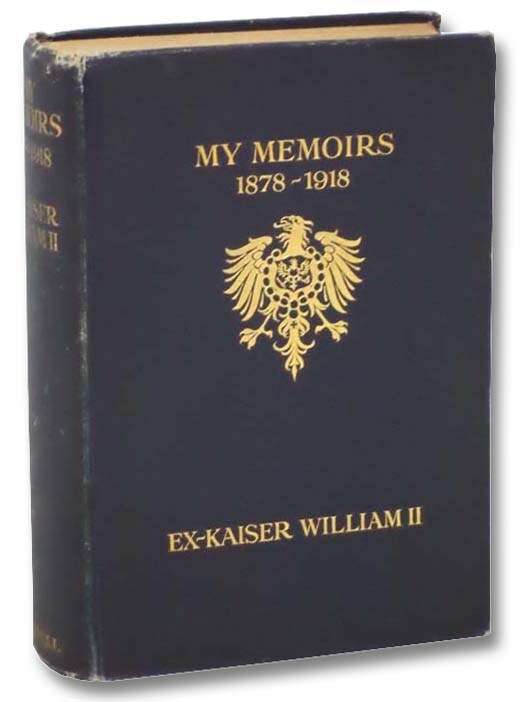 An autobiography by the last ruler of the Prussian Empire, who abdicated shortly before Germany was defeated in World War I. He was related to King George V, and to Tsar Nicholas II of Russia.